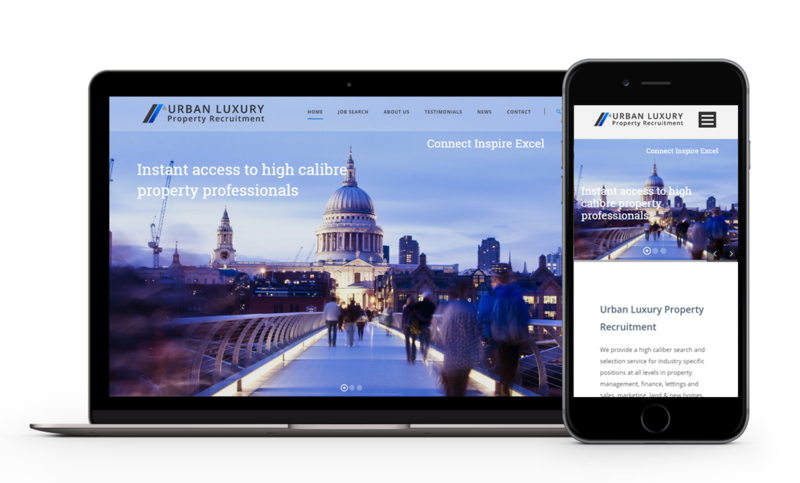 Urban Luxury came to us with a simple goal in mind, to offer their candidates and clients alike a simple and seamless journey on the web. It was important that jobs could be displayed in a simple way that would allow potential candidates to have all of the reverent information to hand as soon as they land on a listing. The design was to be simple but eye catching and using images of London to emphases where Urban Luxury come from and operate primarily. “I came across Strategies Express when I was looking to redesign the company’s website. Initially I created the website when starting a recruitment business 2 years ago. The business was growing rapidly and established a good volume of repeat business within a variety of property clients. To grow further and penetrate other specialist roles within the property recruitment market, as well as attracting talent I needed a more impressive website and one with good interaction on social media. I could not create one myself, I needed professional help. Alex has helped every step of the way and accommodated the constant changes I proposed on almost a daily basis. It was a huge learning curve and the finished product is so much better then I envisaged at the beginning. It does all the things I wanted in terms of easy access to job postings and social media, direct CV upload and marketing our specialism. The website is very easy to manage, update and change. I already see the benefits by getting direct applications and good quality sector specific CV’s. The website gives me the confidence to go and develop the business to the next level.